Wayne Hoggett: New Falcon Unveiled! 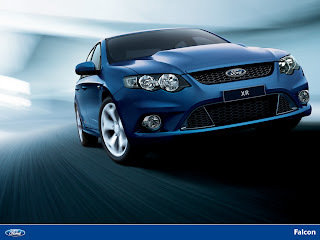 Ford released the first images of the new Ford Falcon today (FG Series) codenamed Orion. The Falcon has received a face lift, improved safety and a minor performance increase on the standard sedan. The Turbo and V8 Editions (XR6 Turbo and XR8) have received significant performance increases with my favourite, the XR6 Turbo now pushing 270kW straight out of the factory. More information at http://www.ford.com.au.